In recent years, I’ve come to understand that the influence of culture on our behavior is far more powerful than almost any other factor. We believe and internalize the messages that our culture sends us. Eventually, those beliefs become part of our sub-conscious world-view, shaping our actions and molding our conscious beliefs. Are there questions most Christians never ask? This is probably most powerfully true in the realm of religious beliefs. The Western Christian culture so subtly and powerfully shapes our beliefs. Most Christian aren’t even aware of the possibility that there may be other perspectives on some of these deeply-held beliefs. We never even question these beliefs as we are too intimidated by the culture to do so. In some cases, the commonly-accepted beliefs actually limit our impact and impede our spiritual growth. Here are three questions most Christians never ask. Contemporary Christian culture suppresses them. Is the modern institutional church system the church of the Bible? There are lots of reasons to ask that question. First, let’s define our terms. The ICS is a huge industry, spending billions of dollars every year, whose financial impact reaches into every community in the country. There are practical as well as Biblical reasons to question it. In business terms, the ICS is burning through billions of dollars and actually losing market share. What other organization would be allowed to continue with such a poor performance? Isn’t it time to question it? The most common response to the fact that Christianity is losing ground in this country is this: “The problem is the quality. What we need are better churches.” There are two problems with this thought. First, it is an indication that the questioner can’t really question the ICS. The response comes from a mindset locked within the ICS paradigms. Instead of questioning the existence of this mammoth enterprise, we look to the margins of the organization. These include more contemporary music, a new youth minister, etc., all the while keeping the fundamental structure in place. But, what if the problem is the fundamental structure? If you had a $530 Billion enterprise that was consistently losing market share, the solution would not be a new set of corporate colors. Nor would it include opening a new branch somewhere. The solution would be to kill the enterprise. We would almost universally recognize that the fundamental business model is flawed. It’s as if you owned a company who manufactured vacuum tubes for televisions. With the world around you changing to transistors and chips, it is foolish to think the solution is a better vacuum tube. The wisest course of action would be to get out of the vacuum tube business entirely. Those folks who propose the solution is ‘better churches’ are not seeing the big picture. The solution may very well be to get out of the church business entirely. Unfortunately, that is too big a question for most Christians. It’s especially tough for those who make their livings from the ICS. And there are those who are content to remain with their comfortable rituals. Those Christians willing to question the fundamental model are still in the minority. It’s a question we should all ask. The real problem with the “do church better’ response is that it has, since the beginning, been the stimulus for the division that is one of the hallmarks if the ICS. Beginning with Luther, who wanted to do church better, to every disgruntled pastor who has a bone to pick with the existing powers and sets off to start a new church, the desire to ‘do church better’ ultimately results in more division. At the moment, there are at least 40,000 denominations in the US. (3) Church splits and starts occur every day. Despite Christ’s final and passionate prayer for unity, the modern church splits and cracks like a windshield hit by a passing stone. The ‘do church better’ impulse is the stone that sets the fracturing in motion. I pray also for those who will believe in me through their message, that all may be one, Father, just as you are in me and I am in you. May they also be in us so that the world may believe that you have sent me. I have given them the glory that you gave me, that they may be one as we are one: I in them and you in me. May they be brought to complete unity to let the world know that you sent me and have loved them even as you loved me. If, as Christ’s prayer indicates, unity is a sign that we are Christ’s, is our incredible division a sign that we are not? The problem with this response is that it conveniently ignores the fact that the kind of division which is the hallmark of modern Christianity is clearly and unequivocally condemned in the Bible. Note I Corinthians 3, in which Paul scolds the Corinthians as ‘worldly’ for following one man or another. The situation that Paul condemns is exactly the same as that which is the defining characteristic of modern Christianity. The factions that he mentions all shared a belief in the major things – Jesus Christ, resurrected, etc. They differed in which man they followed, in the same way as most congregations today follow a pastor. From the earliest days of the gospel, following one man over another was condemned. Today, it is the fundamental basis for the ICS and the accepted practice throughout the system. God had established a system that put Him at the center. The people rejected him and put men in place of God. They substituted what seemed good and right to the – man’s thinking – for God’s superior system. Worship services seem good to us, so we substitute ‘emotional worship services’(a non-Biblical idea) for the interactive Christian meetings commanded in I Corinthians 14: 26 – 40. Pastors seem like a good idea. So, we substitute the paid, seminary-trained professional for the Spirit-led evangelists and elders of the New Testament. The list can go on and on, but you get the picture. Is it possible that, over and over again, the practices of the ICS substitute mankind’s creations and criteria for God’s superior ways? As in the days of the Hebrew kings, that practice eventually resulted in an organization headed by men. There was a division of God’s people, the Babylonian captivity, and the loss of the ten tribes. Is it possible that when we substitute our worldly wisdom for God’s clear direction, we create an organization headed by men that fosters rampant division? As it was then, so is it now? Have we substituted ‘churchism’ for Biblical Christianity in this country, and are the fruits of this substitution becoming apparent in the shifting national culture around us? Have the practices and pronunciations of the ICS filled our heads and hearts with well-intentioned commitments to multiple church services? Even deep involvement in programs and projects, to the point where we can’t even conceive of anything else? And in so doing have we substituted churchism for the relationship with Christ and leading of the Holy Spirit which is proclaimed in the Bible? Unfortunately, the scope of this article doesn’t allow for a really deep dive into some of these questions. If you think there is sufficient evidence to at least ask the questions, I’d recommend the book, Is the Institutional Church Really the Church? as a starting point. Admit it. There are times when you look at what happens in church and wonder “Is this what Jesus died for?” But you have been afraid to voice those doubts. Now, you are not alone. It’s time to ask some questions. Read “Is the Institutional Church Really the Church?” Learn more here. Excellent Dave! Appreciate your willingness to speak Truth! The institutional church today is certainly different to that which existed at the time the epistles were written. I don’t think that is necessarily a problem because institutions change in response to societal change. There is a place for the ‘church gathered’. Your point about making disciples is well made. It seems to me that elevating church growth to the status of a goal undermines the importance of discipleship since the church experience is liable to be oriented towards consumption rather than investment. If the institutional church saw the purpose of Sunday as Monday things might be different. I’ve heard pastors say, ‘Sunday is the main thing’. It’s critically important, but it’s not the main thing. The main thing is equipping the saints to go make disciples in the marketplace. Thanks for sharing your insights, Rod. As someone inside the institution, you’re thinking about how to make it more relevant. As someone outside the institution, I’m considering whether it ought to exist at all. I’ve been struggling with this issue off and on for decades. I could say it’s strange that a sales coach and motivational speaker could also go down this road. Not really that strange to me, but unusual. Prophets in the OT were often if not usually pretty “negative.” Finding fault(s) is frowned upon today, even (especially?) in our church structures. We’re not supposed to ask questions about our fundamental processes. So I’m kind of proud of you Dave for doing so. 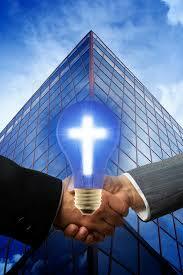 I also think the relationship between business and church should be examined critically. 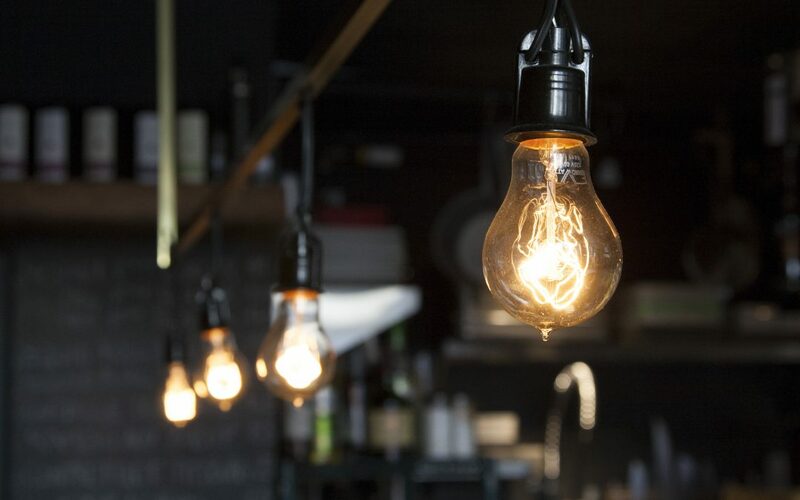 We tend to think we run our churches like businesses, but really, we borrow a few techniques and misuse them badly, while ignoring the rest. And business isn’t necessarily the best example for biblical practice anyway. We need to do business better and biblically, for the sake of our witness, and we need to do church biblically, for the sake of the Kingdom. It still leaves me wondering – where do I / we fit in? I hate participating in something that seems wrong, but what is the right path? I don’t have the answer as of yet. I can empathize, David. I was where you are for a number of years. When I finally left the ICS (Institutional Church System) I felt like a cloud had been lifted, and I could see things much clearer. I am closer to other Christians, and have a relationship with God that I would not have thought possible. I’d be happy to talk with you on the phone. Reach out to me at dave@davekahle.com, and let’s connect. 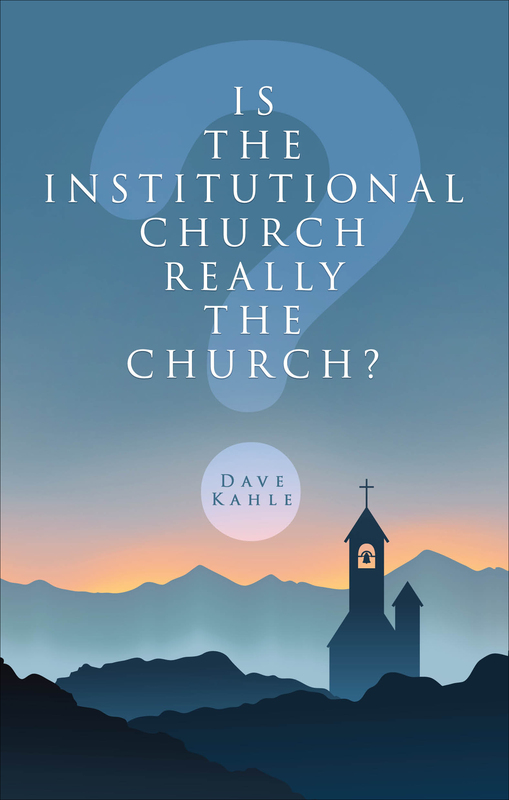 You could buy “Is the Institutional Church Really the Church/” on my website or Amazon. It would be a great starting place for you.